Remember when Fortnite didn’t have any vehicles at all? Now you can literally fly! Take to the skies in an X-4 Stormwing with this list of every plane location we’ve found in Fortnite so far. Flying a plane is one of the Season 7 Week 4 Fortnite challenges, where you need to hop in an X-4 in five different matches. It’s also handy for the Week 7 challenge where you’ll need to hunt for and shoot down X-4 Stormwings. But as well as that, even if they aren’t that strong, the planes in Fortnite are just a load of fun – so here’s where you can snag one and join in. Your best bet for finding an X-4 plane is in Frosty Flights, where around five Stormwings tend to spawn in the hangars and airfield in the west of the location. Two spawn inside the hangars, while a further three can spawn outside. There’s another plane spawn just outside of the area to the southeast, on the plateau of a mountain. 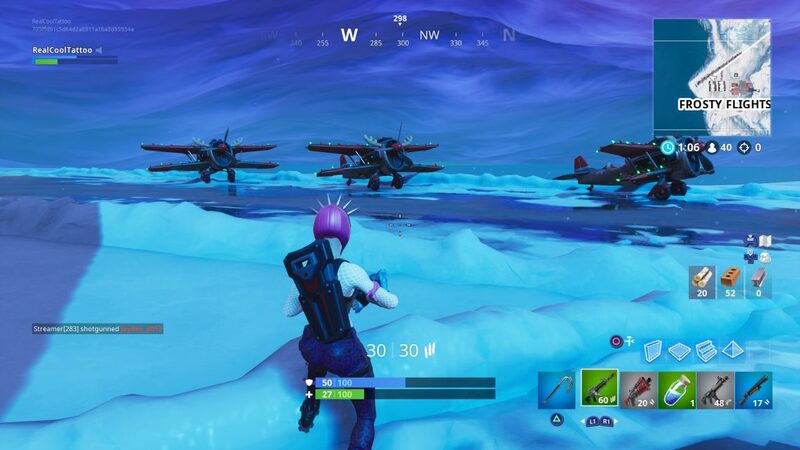 A final plane can spawn on the island broken off from the mainland to the south of Frosty Flights. There’s another airfield with a couple of Stormwing spawns to the northeast of Happy Hamlet. You can find another X-4 spawn to the northeast of Snobby Shores, north of the Viking Village and and the indoor soccer stadium, between the two mountains. 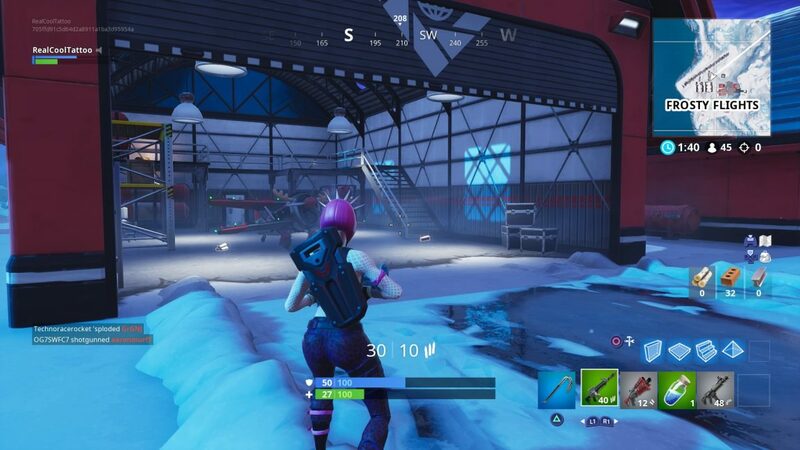 There’s an aircraft hangar to the west of Paradise Palms. Head west from where Paradise Palms is printed on the map and you’ll find it. 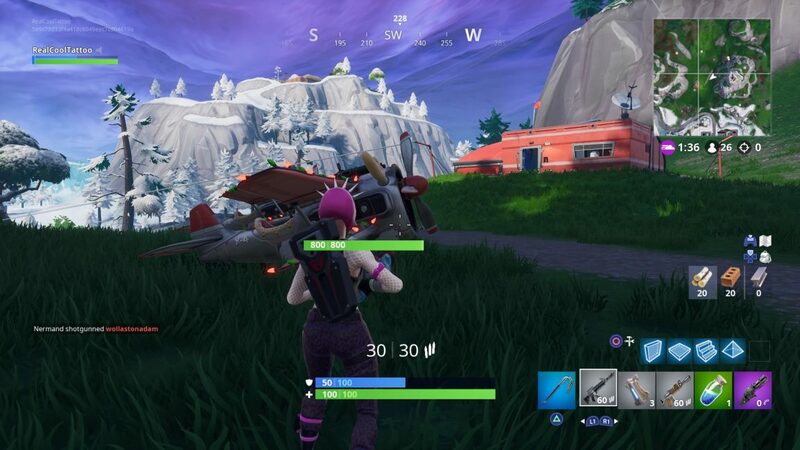 To the west of where Lonely Lodge is printed on the map, you’ll find a hangar up on the mountain. Again raised up on a mountain, you’ll find another plane spawn location to the west of Dusty Divot. 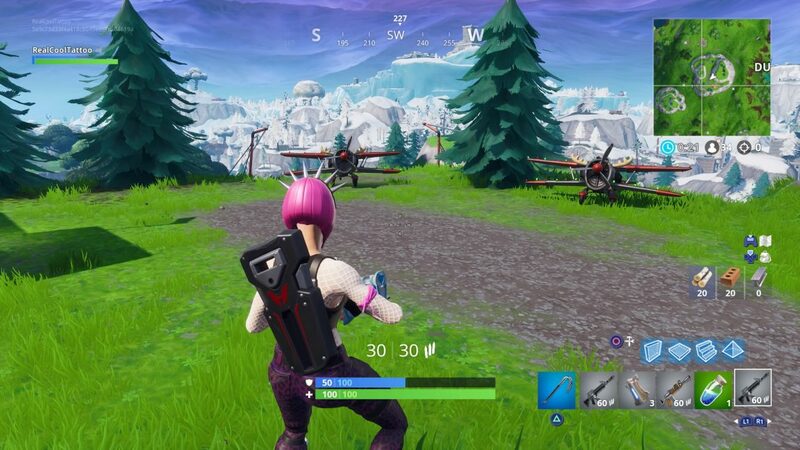 There’s another airfield with X-4 plane spawns around Pleasant Park, on the peak to the northeast. Finally, you’ll find a last aircraft hangar to the southeast of Lazy Links, between that area and the Tomato Temple. As a bonus, you can find a crashed X-4 to the southeast of Retail Row. Since you can travel the whole of the map with ease in an X-4 Stormwing plane, why not use one to complete this week’s Fortnite challenges, including search between a Giant Rock Man, a Crowned Tomato, and an Encircled Tree, and Dance on top of a Water Tower, Ranger Tower, Air Traffic Control Tower. If you keep flying into pesky buildings, you need help from one of the latest items to be added to Fortnite: the Boom Box – which reduces structures to rubble. 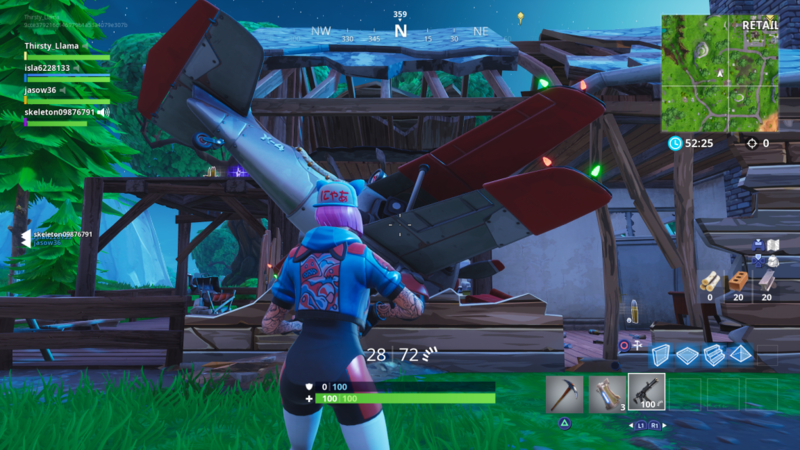 The post Fortnite: Plane locations – Where to find an X-4 Stormwing appeared first on VG247.